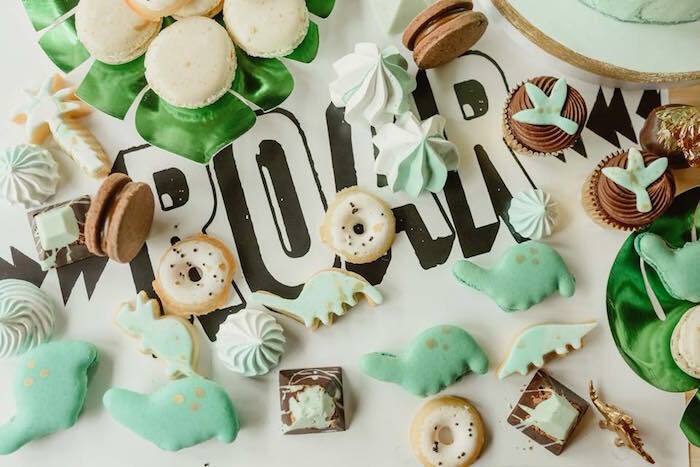 Ready to ravish and roar?! 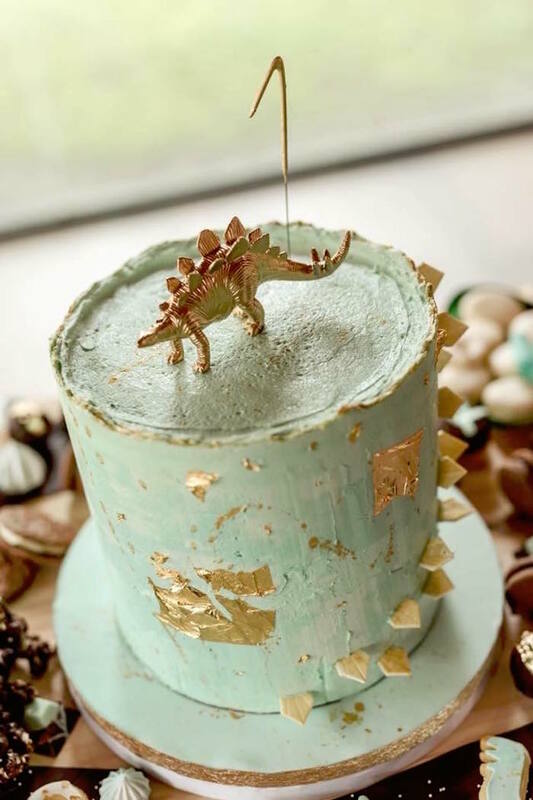 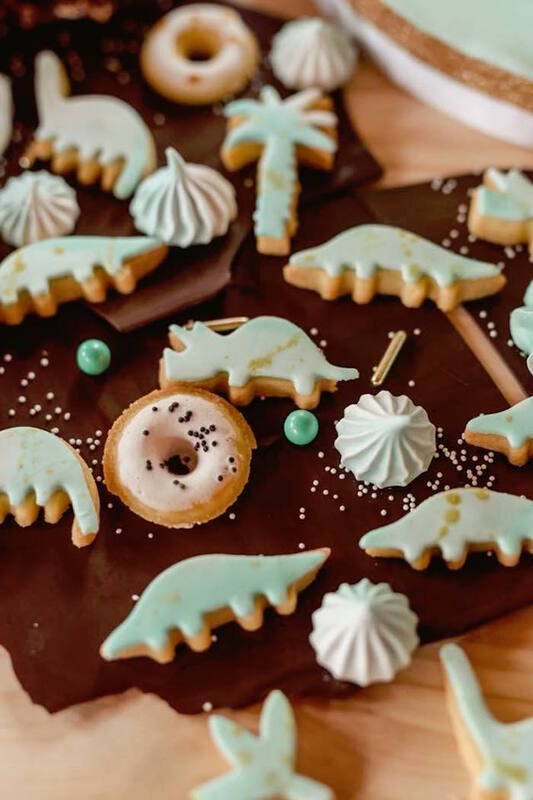 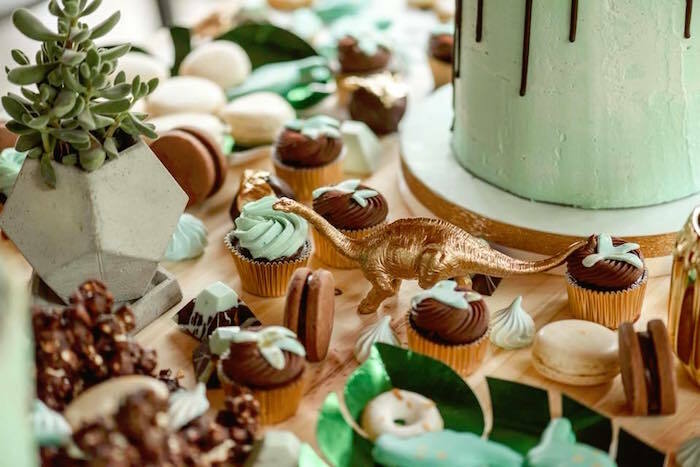 If so, watch out because this Glam Rustic Dinosaur Birthday Party is crashing through the door! 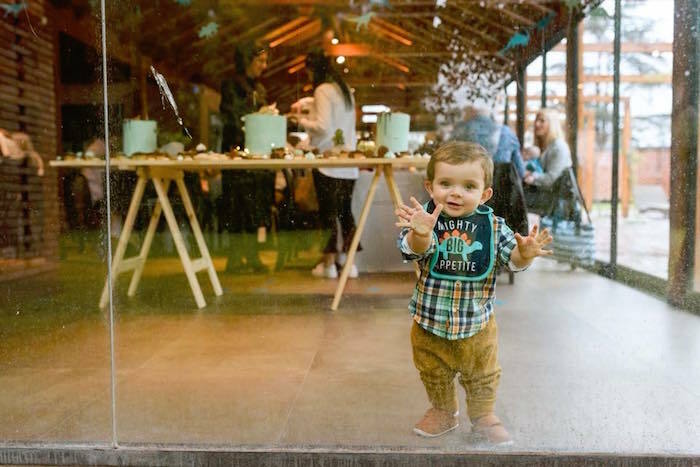 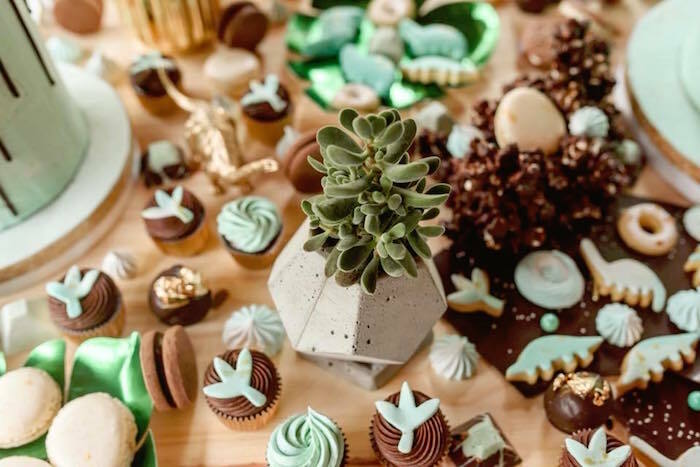 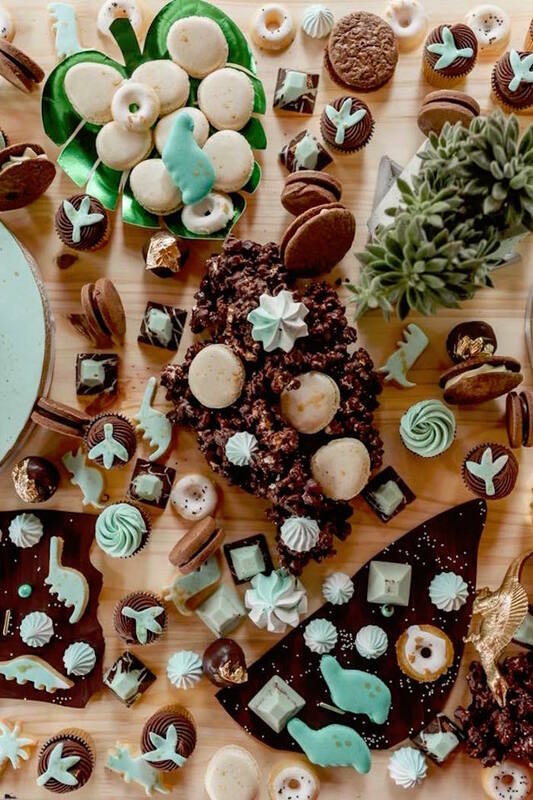 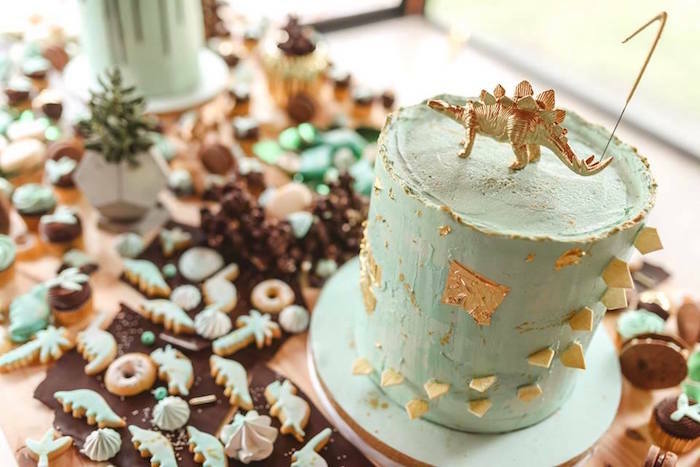 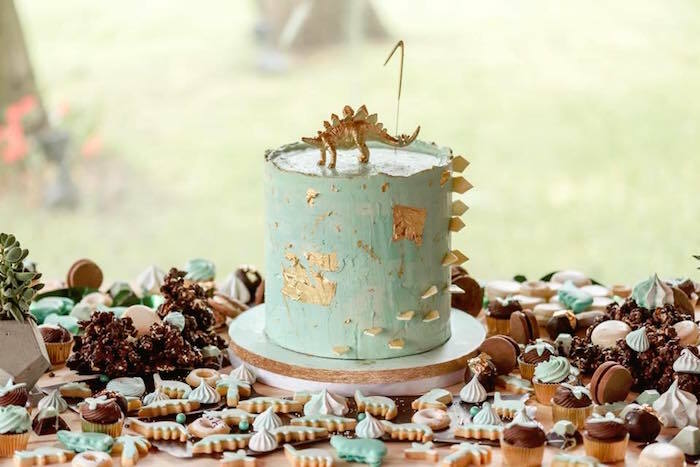 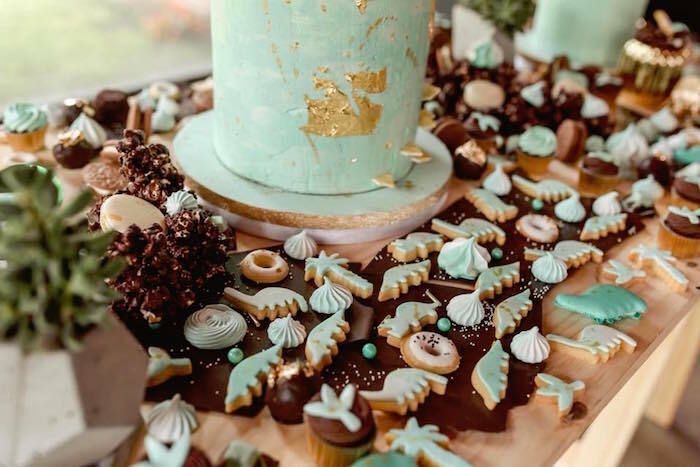 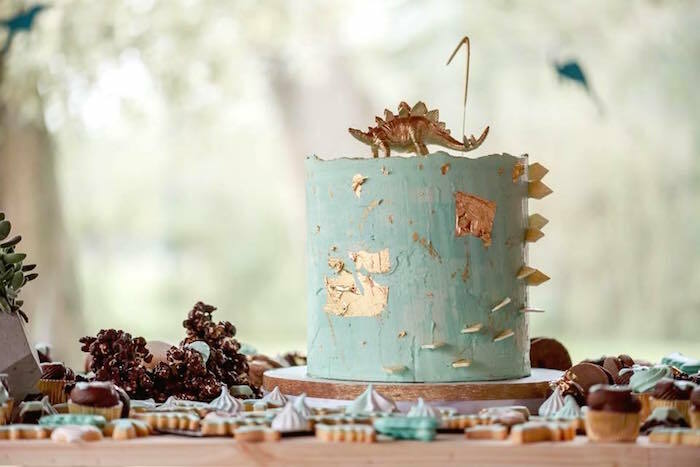 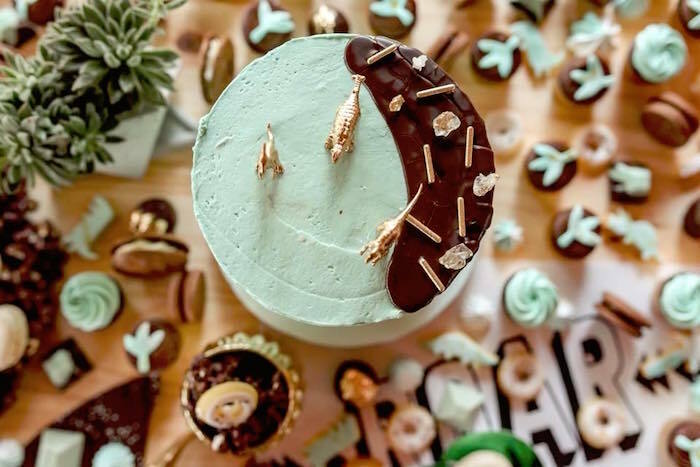 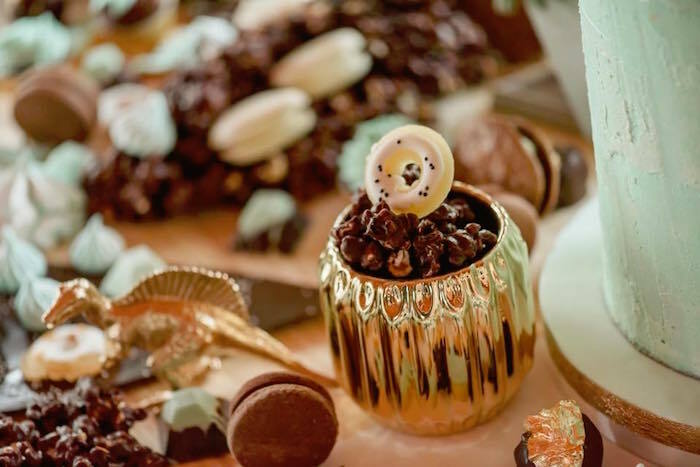 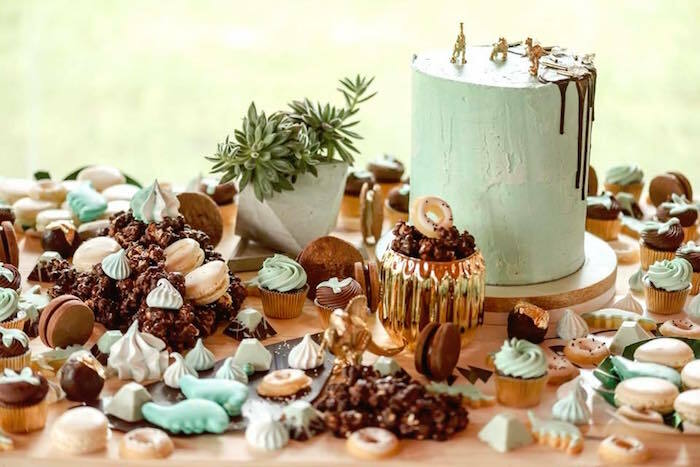 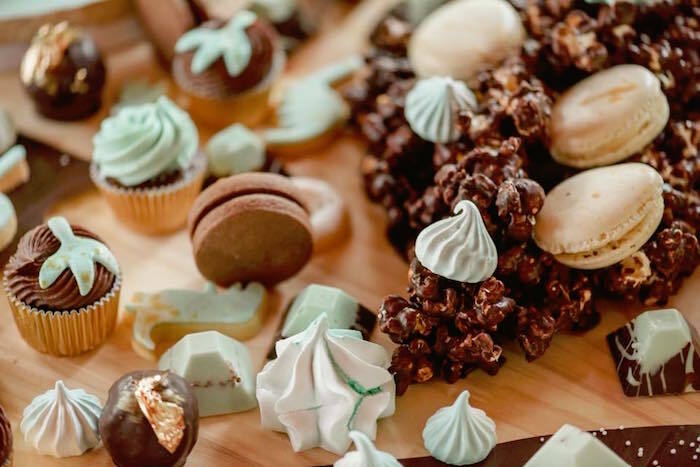 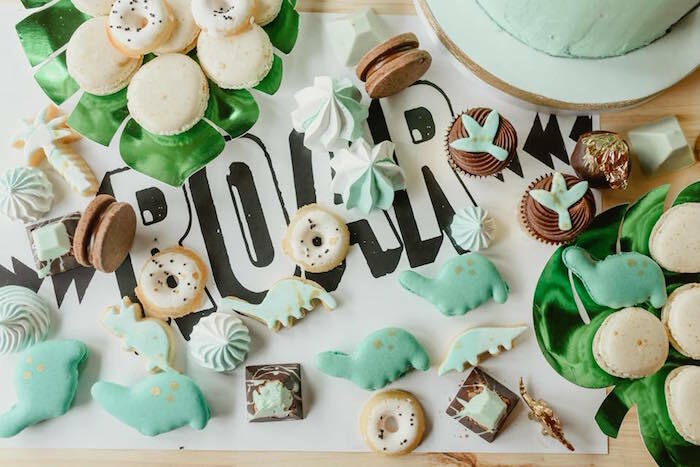 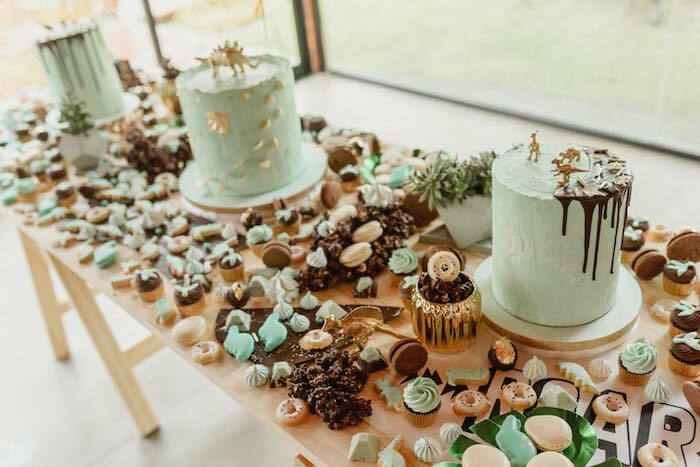 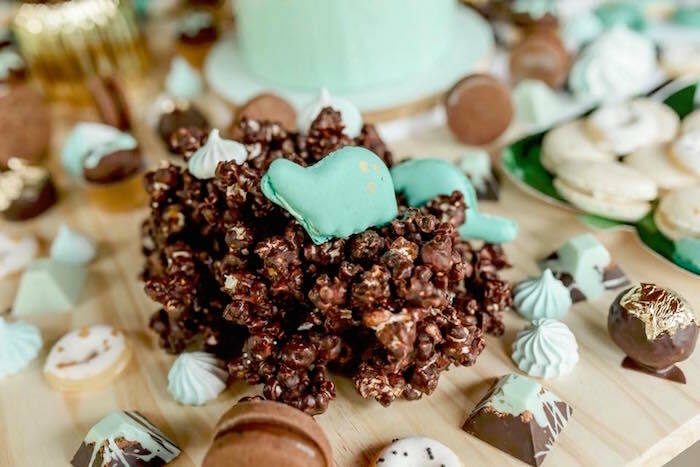 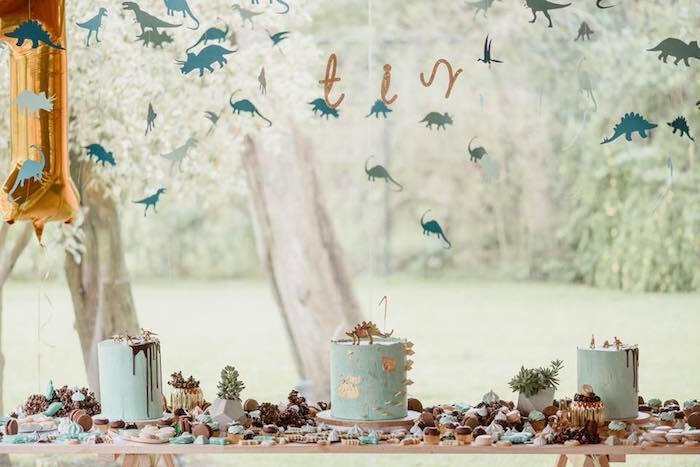 Overflowing with sweets and cakes divine, this fabulous first birthday bash by Romina Connell out of Argentina, is prehistoric shrine! 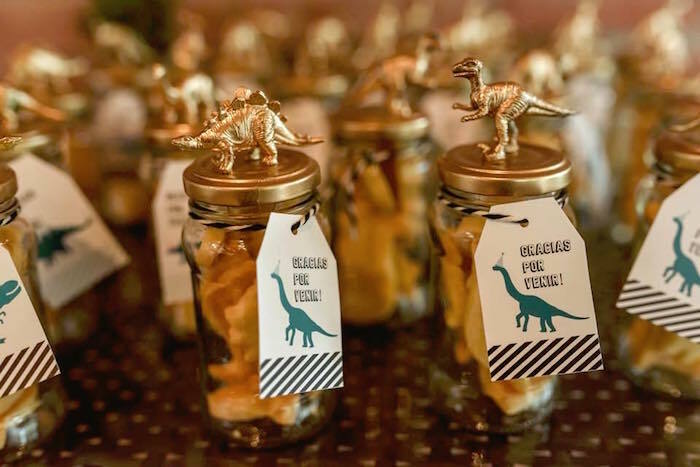 And an array of incredible dinosaur treats! 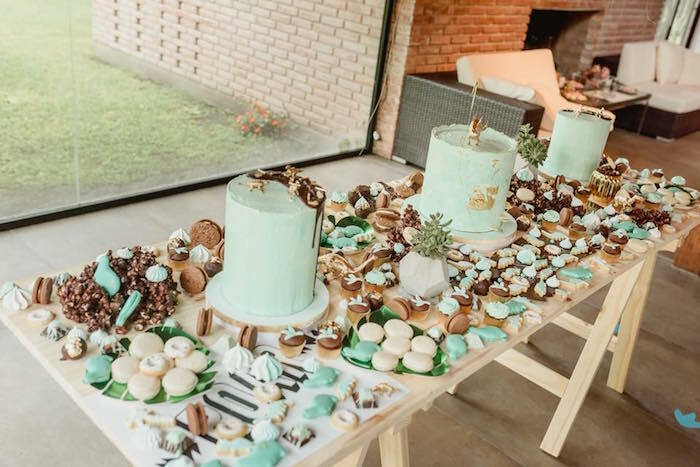 This is what Romina shared about the party- “Raising Valentin’s sweet table was a challenge. 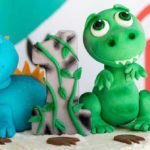 I had in my hands the most special opportunity of my life and had all the licenses: I could choose everything I wanted, colors, flavors, theme, but seeing everything in so many years of work, it was a huge challenge to decide each point. 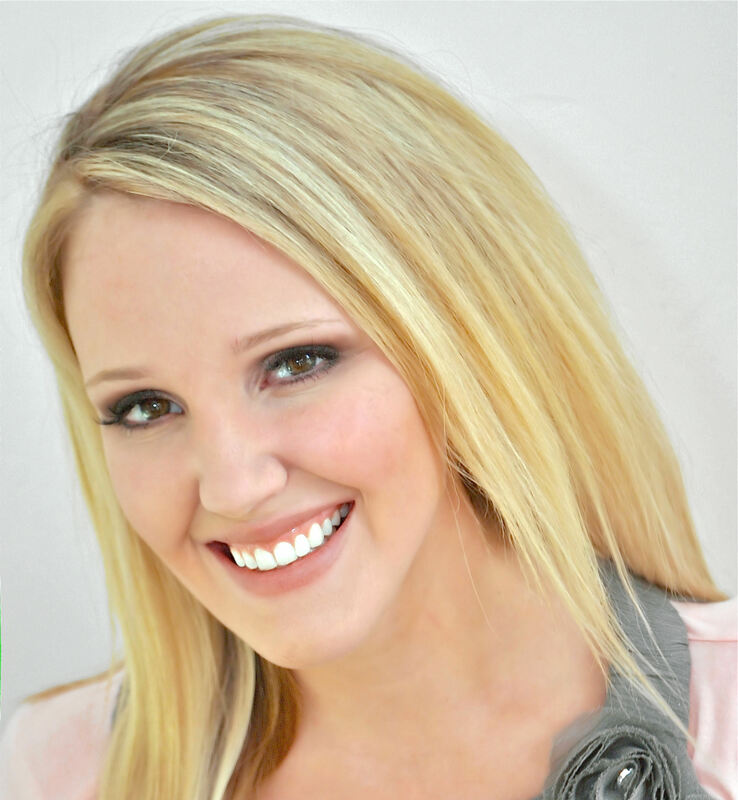 I was sure of two things: I wanted it to be different and to break with the classic. 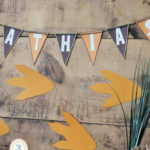 Let it be a break for me and for what they expect of me! 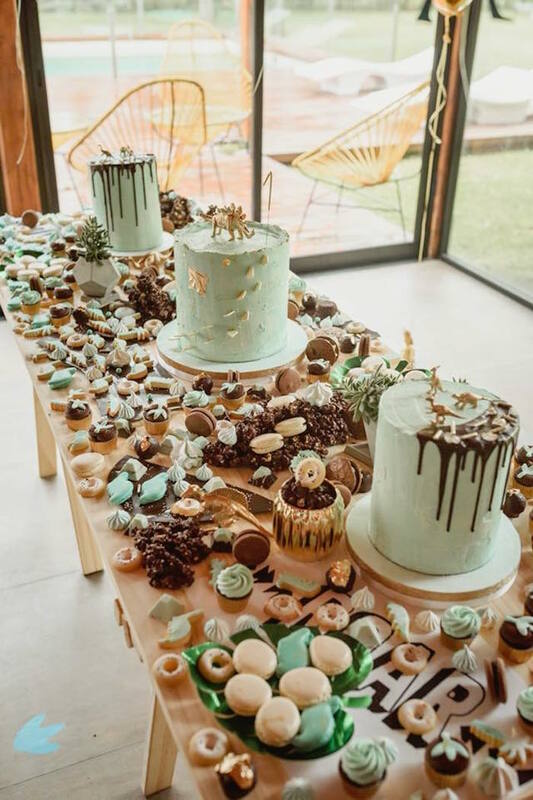 So, I thought the general idea from several angles, the first thing I decided was that the same stand, table or table is the container of sweets, that does not need tablecloths or the classic china and porcelain feet, from From there I discovered that in some cases the same candy would help to show others, like the crowded popcorn that hold macarons, chocolate slabs that emphasize mini cookies. 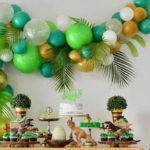 In addition, the central axis of the table and the total rupture of everything I have done before, was to translate the concept 360 degrees, which would allow it to travel through and from any perspective would see its totality.